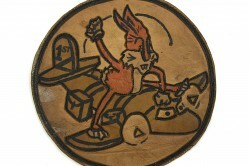 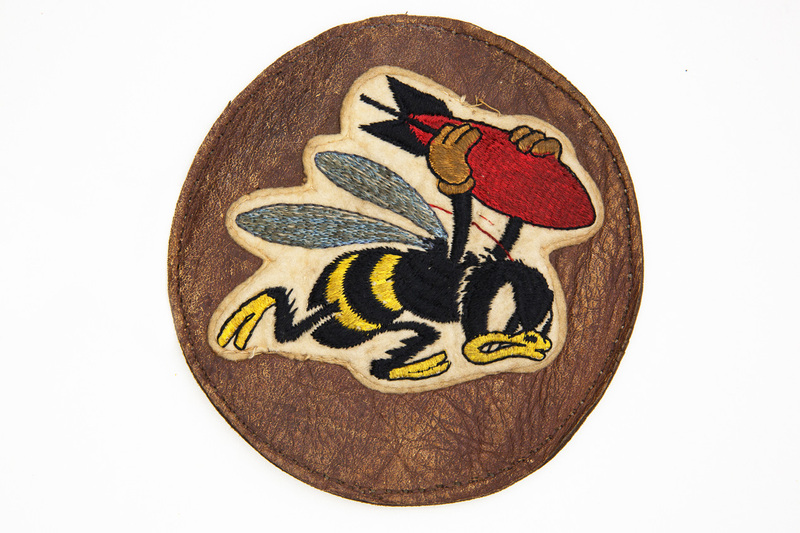 A bee throwing a bomb is embroidered on felt that’s attached to a leather circle. 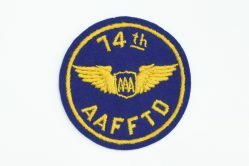 The 21st Bombardment Squadron (H) flew heavy bomber aircraft like the Consolidated B-24 Liberator in WWII. 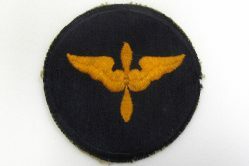 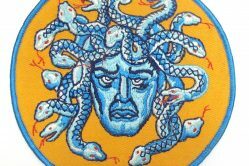 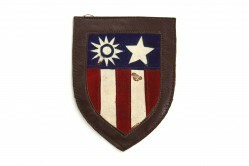 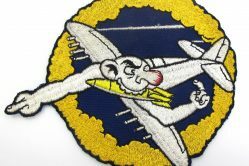 The squadron was active from 1941 to 1943.